Traveling abroad is exciting! But it’s important to be prepared so you’ll stay healthy during your trip. If you or a travel companion became ill, what would you do? People in many parts of the world – developing countries in particular – are susceptible to diseases that are not common here in the U.S., such as yellow fever, typhoid fever, and malaria. If you are planning international travel for business, fun, or missionary work, we encourage you to discuss your travel plans with your doctor so that you can be fully prepared for whatever you encounter along your way. 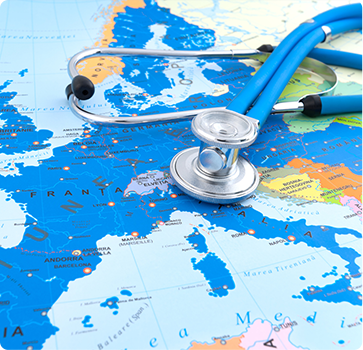 We can provide medical advice and inoculations for travelers. We also specialize in malaria prevention. Travel services are available at our Selinsgrove, Steelton (North), and Harrisburg (Londonderry Road) locations. In addition, Selinsgrove and Steelton are certified Yellow Fever vaccination centers. During a pre-travel consultation, the doctor will assess your needs for inoculations, vaccines, medication, and other preventive measures to keep your health intact while traveling. Please schedule your appointment at least one month in advance of your departure date. Certain destinations may require immunizations that need to be given more than one month in advance. If you’re not certain of the requirements for your travel, please contact us for more information. You will need to bring to your appointment a list of your current medications, vaccines, and inoculations, as well as your travel itinerary.